Finally, after almost two dozen movies about Batman and Superman, the third member of DC Comics’ main trinity—Wonder Woman—is finally getting a solo movie of her own. Speaking with Entertainment Weekly, Wonder Woman star Gal Gadot says that the movie is “a big responsibility” because she doesn’t want it to be “a generic story of a superhero coming of age,” but one that would actually inspire people. She notes that boys have tons of superhero role models to look up to who are “strong and almighty and they are positive and active and proactive,” but it’s not the same for girls. Gadot then brings up a conversation she had with her young daughter, who walked away from Sleeping Beauty thoroughly unimpressed. 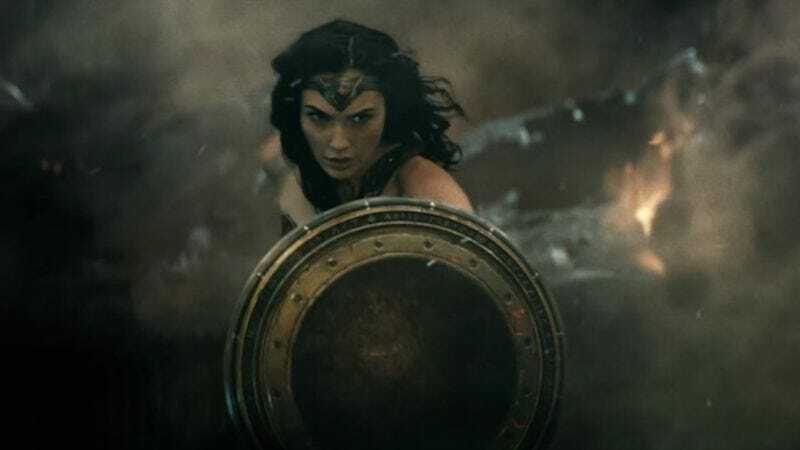 She pointed out that the prince is “brave” and “strong,” but that the princess is “weak” because “she’s sleeping the entire movie and the prince comes and kisses her and saves her.” Gadot sees her Wonder Woman role as a way to change that trend, saying she now has an opportunity “to set a great role model for girls to look up to” who is a “strong, active, compassionate, loving, positive woman.” She also says that “it’s about time” somebody made a superhero movie like that, and that she’s “very privileged and honored” to be the one who gets to play Wonder Woman. Recently, Entertainment Weekly also debuted some new photos from the set of Wonder Woman that give us a brighter, less Zack Snyder-y look at Gadot in costume than Batman V Superman did.